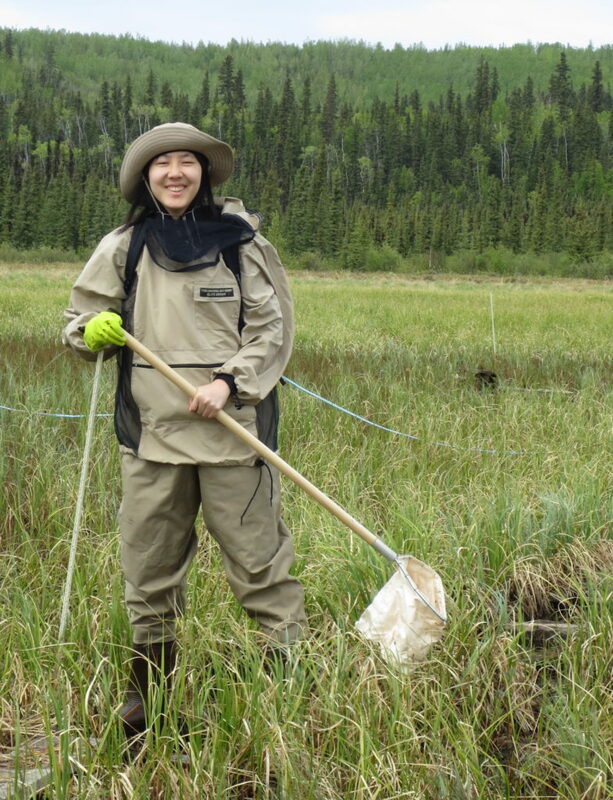 “Boreal wetlands store a substantial pool of the world’s soil carbon (C) as peat, which accumulates over time as rates of primary productivity exceed organic matter decomposition. Due to their high latitude location, boreal wetlands are particularly susceptible to climate change, with climate models anticipating these regions to have temperature increases of 1.4–5.8 °C in this century. The current paradigm in peatland ecology is that energy flows primarily through plant detrital pathways and is constrained by a low metabolic environment and recalcitrant organic matter. Consequently, efforts to evaluate the effects of climate change on aspects of primary production have focused on plants, especially mosses, which produce a large fraction of annual biomass and tend to form litter that decomposes slowly. Comparatively, we know relatively little about the autecology of other primary producers in northern peatlands, such as microalgae, which grow as part of a complex network of microorganisms on plant litter. Algae can be abundant under a variety of soil moisture conditions in northern peatlands and have the potential to influence energy transfer to heterotrophic microorganisms at the peat surface.